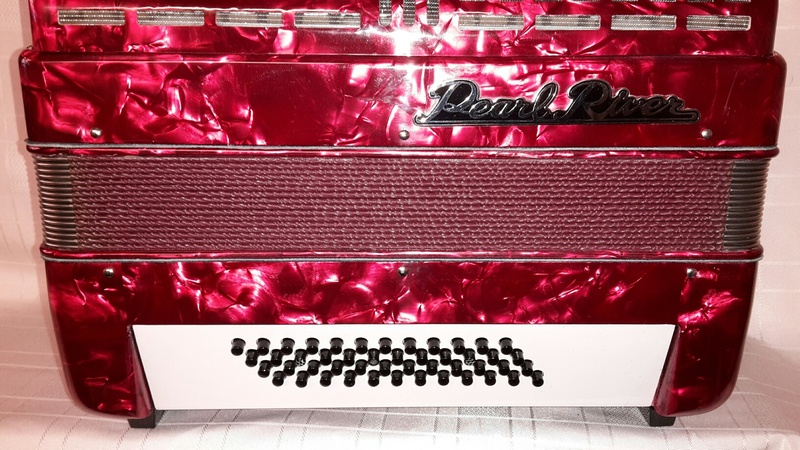 Pearl River 48 bass 34 key accordion (Pre Owned). 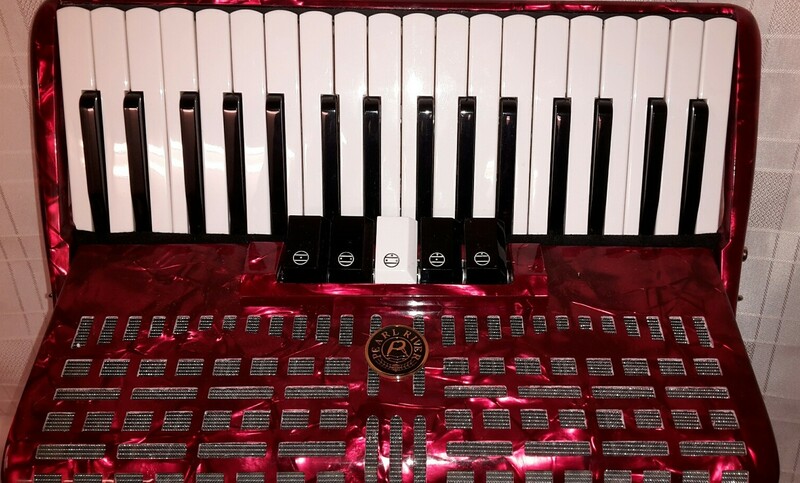 This Pearl River 48 bass 34 key accordion has 3 sets of reeds & 5 treble couplers which give a range of sounds for the piano keyboard. 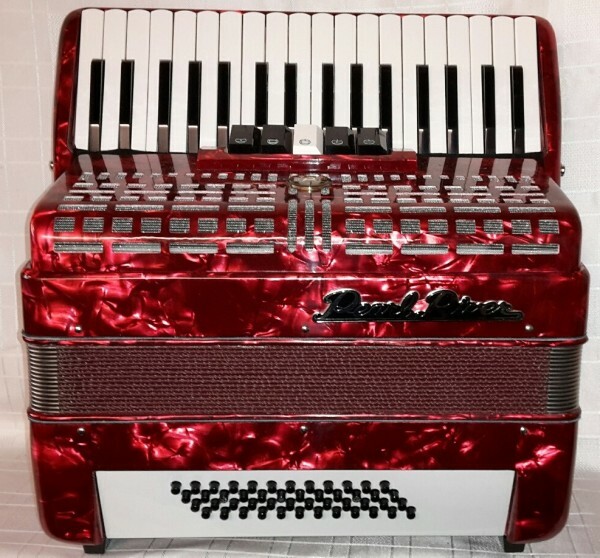 FREE UK mainland delivery ! Please call for delivery prices to other areas. 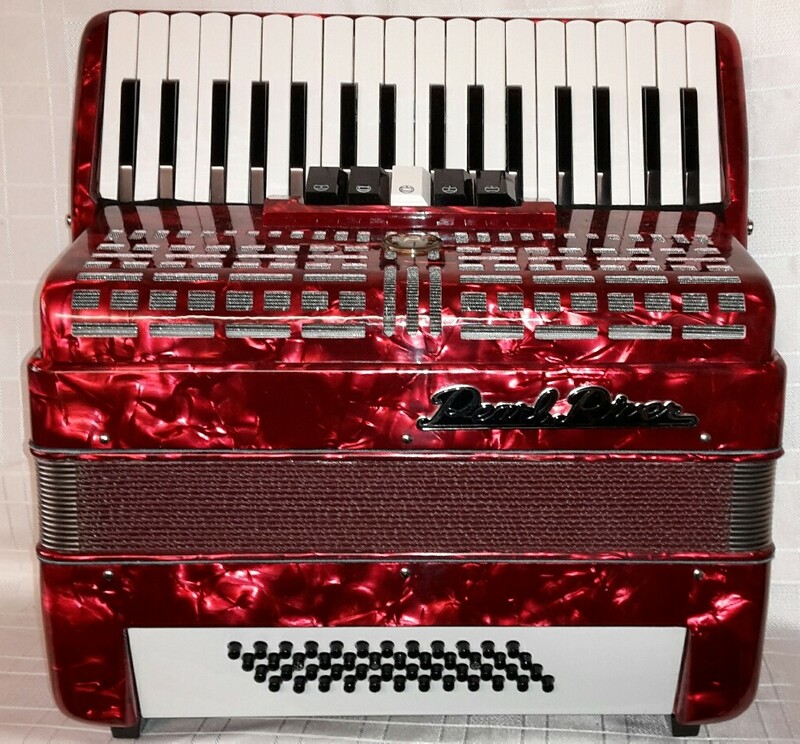 To buy this Pearl River 48 bass 34 key accordion or get more info please call our Rochdale shop on 01706 658283.